Anaximander:The earth is a cylindrical column, surrounded by air; it floats upright in the centre of the universe without support or anything to stand on, yet it does not fall because, being in the centre, it has no preferred direction towards which to lean; if it did, this would disturb the symmetry and balance of the whole. The spherical heavens enclose the atmosphere. Symmetry (from Greek συμμετρία symmetria "agreement in dimensions, due proportion, arrangement") has two meanings. The first is a vague sense of harmonious and beautiful proportion and balance. The second is an exact mathematical "patterned self-similarity" that can be demonstrated with the rules of a formal system, such as geometry or physics. Although these two meanings of "symmetry" can sometimes be told apart, they are related, so they are here discussed together. Mathematical symmetry may be observed with respect to the passage of time; as a spatial relationship; through geometric transformations such as scaling, reflection, and rotation; through other kinds of functional transformations and as an aspect of abstract objects, theoretic models, language, music and even knowledge itself. The earth is a cylindrical column, surrounded by air; it floats upright in the centre of the universe without support or anything to stand on, yet it does not fall because, being in the centre, it has no preferred direction towards which to lean; if it did, this would disturb the symmetry and balance of the whole. The spherical heavens enclose the atmosphere 'like the bark of a tree', and there are several layers of this enclosure to accommodate the various stellar objects. While both the metaphysicist and the physicist draw conclusions from their general doctrines, the one is contented with logical symmetry, the other demands the confrontation with facts. Aristotle, in Aristotle: a chapter from the history of science including analyses of ..., p. 33, quoted by George Henry Lewes. Aristotle, in Toward an Aesthetics of Blindness: An Interdisciplinary Response to Synge ..., p. 213. Kate Bush:I'm busy chasing up my demon. Oh, I'm in love With Egypt. William Blake, in Famous Quotes from 100 Great People, p. 220. Guided only by their feeling for symmetry, simplicity, and generality, and an indefinable sense of the fitness of things, creative mathematicians now, as in the past, are inspired by the art of mathematics rather than by any prospect of ultimate usefulness. Eric Temple Bell, in 777 Mathematical Conversation Starters, p,172. In lands of the Pharoahs. Their symmetry gets right inside me. I cannot stop to comfort them. I'm busy chasing up my demon. Men achieve tranquillity through moderation in pleasure and through the symmetry of life. Want and superfluity are apt to upset them and to cause great perturbations in the soul. The souls that are rent by violent conflicts are neither stable nor tranquil. ...one ought not to desire other men's blessings, and one ought not to envy those who have more, but rather, comparing his life with that of those who fare worse, and laying to heart their sufferings, deem himself blest of fortune in that he lives and fares so much better than they. Holding fast to this saying you will pass your life in greater tranquillity and will avert not a few of the plagues of life—envy and jealousy and bitterness of mind. What is this world? A complex whole, subject to endless revolutions. All these revolutions show a continual tendency to destruction; a swift succession of beings who follow one another, press forward, and vanish; a fleeting symmetry; the order of a moment. I reproached you just now with estimating the perfection of things by your own capacity; and I might accuse you here of measuring its duration by the length of your own days. You judge of the continuous existence of the world, as an ephemeral insect might judge of yours. The world is eternal for you, as you are eternal to the being that lives but for one instant. Yet the insect is the more reasonable of the two. For what a prodigious succession of ephemeral generations attests your eternity! What an immeasurable tradition! Yet shall we all pass away, without the possibility of assigning either the real extension that we filled in space, or the precise time that we shall have endured. Time, matter, space—all, it may be, are no more than a point. Henry Fuseli:Proportion, or symmetry, is the basis of beauty; propriety, of grace. I wrote Fearful Symmetry during the Second World War, and hideous as that time was, it provided some parallels with Blake’s time which were useful for understanding Blake’s attitude to the world. Northrop Frye, in Fearful Symmetry: A Study of William Blake, p. 11. Her dreams, of course, partook of this symmetry. The same dream returns to her periodically, annually, and punctual to its night. Margaret Fuller, in The Spiritual Magazine, p. 123. Proportion, or symmetry, is the basis of beauty; propriety, of grace. Henry Fuseli, in Lectures, in p. 78. John Galsworthy, in The Complete Essays of John Galsworthy, p. 207. Physicists describe the two properties of physical laws—that they do not depend on when or where you use them—as symmetries of nature. By this usage physicists mean that nature treats every moment in time and every location in space identically—symmetrically—by ensuring that the same fundamental laws are in operation. Much in the same manner that they affect art and music, such symmetries are deeply satisfying; they highlight an order and coherence in the workings of nature. The elegance of rich, complex, and diverse phenomena emerging from a simple set of universal laws is at least part of what physicists mean when they invoke the term "beautiful." Brian Greene, The Elegant Universe (1999) Ch. 7 The "Super" in Superstrings. One overarching lesson... during the past hundred years is that the known laws of physics are associated with principles of symmetry. Special relativity is based on the symmetry embodied in the principle of relativity—the symmetry between all constant-velocity vantage points. The gravitational force, as embodied in the general theory of relativity, is based on the equivalence principle—the extension of the principle of relativity to embrace all vantage points regardless of the complexity of their states of motion. And the strong, weak, and electromagnetic forces are based on the... gauge symmetry principles. ...String theory takes us down another notch on the scale of explanatory depth because all of these symmetry principles, as well as another—supersymmetry—emerge from its structure. 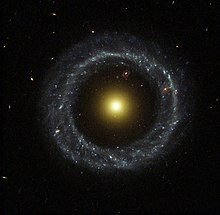 Brian Greene, The Elegant Universe (1999, 2003) Ch. 15 "Prospects." Frank Herbert:There is in all things a pattern that is part of our universe. It has symmetry, elegance, and grace - those qualities you find always in that which the true artist captures. You can find it in the turning of the seasons, in the way sand trails along a ridge, in the branch clusters of creosote bush or the patterns of its leaves. According to the atomic theory the forming force in this process is to a certain extent the symmetry characteristic of the solution to Schrodinger’s wave equation and to that extent x crytalization is explained by the atomic theory. Werner Heisenberg, in Nobel Lectures in Physics, p. 300. There is in all things a pattern that is part of our universe. It has symmetry, elegance, and grace - those qualities you find always in that which the true artist captures. You can find it in the turning of the seasons, in the way sand trails along a ridge, in the branch clusters of creosote bush or the patterns of its leaves. To let the reader sometimes complete the symmetry between words and to do no more than suggest it. In this painting of our life given to us by our memories, everything is moving and depends on our point of view. Joseph Joubert, in Translations, p. 147. You know what Aquinas says: The three things requisite for beauty are, integrity, a wholeness, symmetry and radiance. James Joyce, in Problems in modern English fiction, p. 65. Love, maybe you'll feel it too. silver birch - Helen Keller: I feel the delicate symmetry of a leaf. 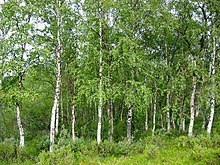 I pass my hands lovingly about the smooth skin of a silver birch, or the rough shaggy bark of a pine. I feel the delicate symmetry of a leaf. I pass my hands lovingly about the smooth skin of a silver birch, or the rough shaggy bark of a pine. Helen Keller, in You Gotta Keep Dancin', p. 76. Without any underlying symmetry properties, the job of proving interesting results becomes extremely unpleasant. The enjoyment of one's tools is an essential ingredient of successful work. Donald Knuth, in The Art Of Computer Programming, Volume 2: Seminumerical Algorithms, 3/E, p. 238. ...for the discovery of the origin of the broken symmetry which predicts the existence of at least three families of quarks in nature. Your borrowers of books—those mutilators of collections, spoilers of the symmetry of shelves, and creators of odd volumes. Charles Lamb, in The Equation that Couldn't Be Solved: How Mathematical Genius Discovered the ..., p. 23. Since the beginning of physics, symmetry considerations have provided us with an extremely powerful and useful tool in our effort to understand nature. Gradually they have become the backbone of our theoretical formulation of physical laws. Tsung-Dao Le, in Particle Physics and Introduction to Field Theory: Revised and Updated First, p. 177. The introduction of symmetries belongs here too, silhouettes in inkblots, etc. Likewise the gradation we establish in the order of creatures: all this is not in the things but in us. In general we cannot remember too often that when we observe nature, and especially the ordering of nature, it is always ourselves alone we are observing. Mario Livio, Is God a Mathematician? (2009) p. 251. I'm terribly fastidious. I like symmetry and neatness, but my house is as chaotic as any other family's. Herman Melville, in Bloom's how to Write about Herman Melville, p. 280. Like the ski resort full of girls hunting for husbands and husbands hunting for girls the situation is not as symmetrical as it might seem. Alan Lindsay Mackay in New Theories of Everything. For every symmetry there comes a constraint. ...If physics is to look the same when the origin of time is shifted... [o]nly those processes that conserve energy are allowed. ...If physical law is to be immune to the arbitrary displacement of our spatial axes, then nature requires the conservation of linear momentum. ...If the laws are to be unaffected by the arbitrary rotation of a coordinate system, then angular momentum must be conserved. ...If the laws are to be the same for all inertial observers, then the space-time interval must be invariant. ...[A]nother constraint ...so beautiful as to make one jaw drop in wonder ...symmetry creates force. ...[T]he symmetry of identical particles forces matter ...to be enrolled as either fermion or boson ...Bosons, typified by the photon, carry the the fundamental forces that cause fermions to attract and repel. Fermions, led by electrons and quarks, become constituents of ordinary matter. ...Gravity. Electromagnetism. The strong force. The weak force. Each fundamental interaction is called into being by the requirements of a particular local symmetry. Some people focus more on sonics. Some people focus more on story. I focus on both sonics and story, but music sometimes, just music itself, can turn into more of a maths problem. I guess everything in life is a math problem, but it can be more about an empirical route to getting the symmetry that you want, and this vibe, sonically. Camille Paglia, in Culture, p. 165. Blaise Pascal, in From Summetria to Symmetry: The Making of a Revolutionary Scientific Concept ..., p. 126. Benjamin Peirce, in The Early Years of the Saturday Club: 1855-1870, p. 106. By the time of his w:String Quartet No. 4 (Bartók)Fourth String Quartet, inversional symmetry had become as fundamental a premise of Bartok's harmonic language as it is of the twelve-tone music of Schoenberg, Berg, and Webern. George Perle, in The Listening Composer, p. 46. It is the harmony of the diverse parts, their symmetry, their happy balance; in a word it is all that introduces order, all that gives unity, that permits us to see clearly and to comprehend at once both the ensemble and the details. Henri Poincare , in Ultra Low Power Bioelectronics, p. 3. Thomas Pynchon, in Middle Grounds: Studies in Contemporary American Fiction, p. 97. Varadaraja V. Raman: When one is involved in the discovery and discernment of the marvelous laws and symmetries that shape the phenomenal world, one cannot but be struck by the silent and unfathomable intelligence that seems to pervade the Cosmos. When one is involved in the discovery and discernment of the marvelous laws and symmetries that shape the phenomenal world, one cannot but be struck by the silent and unfathomable intelligence that seems to pervade the Cosmos. Graphic design -Paul Rand:Graphic design, which evokes the symmetria of Vituvius, the dynamic symmetry of Hambidge, the asymmetry of Mondrian; which is a good gestalt, generated by intuition or by computer, by invention or by a system of coordinates, is not good design if it does not communicate. Graphic design, which evokes the symmetria of Vituvius, the dynamic symmetry of Hambidge, the asymmetry of Mondrian; which is a good gestalt, generated by intuition or by computer, by invention or by a system of coordinates, is not good design if it does not communicate. Paul Rand, in Paul Rand: A Designer's Art. I don't know if it's a sign of all the chaos that is happening out there or not, but I've lately craved the structure and order of classical music, the balance and symmetry. No human face is exactly the same in its lines on each side, no leaf perfect in its lobes, no branch in its symmetry. All admit irregularity as they imply change; and to banish imperfection is to destroy expression, to check exertion, to paralyze vitality. All things are literally better, lovelier, and more beloved for the imperfections which have been divinely appointed, that the law of human life may be Effort, and the law of human judgment, Mercy. John Ruskin, in The Pre-Raphaelites: Writings and Sources, Volume 3, p. 138. Let us think that no human rights will exist without symmetry of the duties that correspond to them. It is not to be expected that government in the next 50 years will do it. José Saramago, in Service Learning: Linking Library Education and Practice, p. 12. His genius for poetry and music enabled him to reproduce the rhythm and melody, the parallelism and symmetry, of Hebrew poetry and prose. Pierre Schaeffer:Take a sound from whatever source, a note on a violin, a scream, a moan, a creaking door, and there is always this symmetry between the sound basis, which is complex and has numerous characteristics which emerge through a process of comparison within our perception. Take a sound from whatever source, a note on a violin, a scream, a moan, a creaking door, and there is always this symmetry between the sound basis, which is complex and has numerous characteristics which emerge through a process of comparison within our perception. Pierre Schaeffer , in pierre schaefferan interview with the pioneer of musique concrete. Consistency is the enemy of enterprise, just as symmetry is the enemy of art. George Bernard Shaw , in The EU's Foreign Policy: What Kind of Power and Diplomatic Action?, p. 201. Perhaps the most profound synthesis of physical sciences came from the realization that everything could be understood from “conservation laws” and symmetry principles. Didier Sornette, in Why Stock Markets Crash: Critical Events in Complex Financial Systems, p. 36. Bayard Taylor:The nearest approach I have ever seen to the symmetry of ancient sculpture was among the Arab tribes of Ethiopia. Our Saxon race can supply the athlete, but not the Apollo. The nearest approach I have ever seen to the symmetry of ancient sculpture was among the Arab tribes of Ethiopia. Our Saxon race can supply the athlete, but not the Apollo. Bayard Taylor, in Putnam's Monthly, Volume 4, p. 534. The universe is built on a plan the profound symmetry of which is somehow present in the inner structure of our intellect. Paul Valery, in Gaither's Dictionary of Scientific Quotations: A Collection of Approximately ..., p. 2456. Steven Weinberg: We have simply arrived too late in the history of the universe to see this primordial simplicity easily … But although the symmetries are hidden from us, we can sense that they are latent in nature, governing everything about us. That's the most exciting idea I know: that nature is much simpler than it looks. Nothing makes me more hopeful that our generation of human beings may actually hold the key to the universe in our hands—that perhaps in our lifetimes we may be able to tell why all of what we see in this immense universe of galaxies and particles is logically inevitable. Derek Walcott, in Derek Walcott: Politics and Poetics, p. 26. We have simply arrived too late in the history of the universe to see this primordial simplicity easily … But although the symmetries are hidden from us, we can sense that they are latent in nature, governing everything about us. That's the most exciting idea I know: that nature is much simpler than it looks. Nothing makes me more hopeful that our generation of human beings may actually hold the key to the universe in our hands—that perhaps in our lifetimes we may be able to tell why all of what we see in this immense universe of galaxies and particles is logically inevitable. Steven Weinberg, in The key to the universe: a report on the new physics, p. 185. Symmetry is a vast subject, significant in art and nature. Mathematics lies at its root, and it would be hard to find a better one on which to demonstrate the working of the mathematical intellect. Hermann Weyl, in Mathematics and Culture I, p. 269. Thus the musical scale is a convention which circumscribes the area of potentiality and permits construction within those limits in its own particular symmetry. Iannis Xenakis, in Formalized Music: Thought and Mathematics in Composition, p. 132. Nature seems to take advantage of the simple mathematical representations of the symmetry laws. When one pauses to consider the elegance and the beautiful perfection of the mathematical reasoning involved and contrast it with the complex and far-reaching physical consequences, a deep sense of respect for the power of the symmetry laws never fails to develop. By the late Nineties, we had become a more visual nation. Big-money taste moved to global standards - new architecture, design and show-off contemporary art. The Sloane domestic aesthetic - symmetry, class symbolism and brown furniture - became as unfashionable as it had been hot in the early Eighties. Time could not mar the perfect symmetry of those walls. Moonlight can play odd tricks upon the fancy, and suddenly it seemed to me that light came from the windows. In Transcript of Listening Drills, p. 203.